Its official, the new edition of IEEE 1584 – IEEE Guide for Performing Arc-Flash Hazard Calculations was approved by the IEEE-SA Standards Board in September 2018, shifting the paradigm of how arc flash data collection, analysis, and calculations are performed. 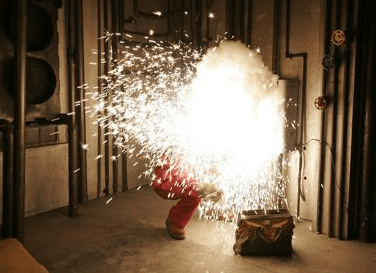 When the first edition of IEEE 1584 was released in 2002, it contained empirically-derived equations and reasonable assumptions derived from more than 300 arc flash tests conducted at the time. These assumptions are the basis for how we have performed arc flash calculations for the past 16 years. After the initial publication, questions immediately arose regarding electrode configuration, the impact of various box configurations, and DC and single-phase calculations. To address these and other deficiencies, a collaboration was formed to revise the standard. A short 16 years later after more than 2000 additional tests and six rounds of draft revisions, the 2018 standard was born. So, what’s different in the new revision, and how does it affect you? Let’s take a look at a few of the major changes. The additional testing conducted by the working group revealed that electrode orientation can greatly influence incident energy and the direction of an arc. In 2002, only two configurations were included, both with vertical orientation. The new standard expands this to five by adding one with an insulating barrier termination and two with horizontal orientation, which can blast a plasma ball aimed directly at personnel with more than three times the incident energy of vertical configurations. So, this means that collecting enough accurate data that includes proper electrode configuration is far more complicated than simply opening a panel and copying nameplate data. It’s imperative that an experienced power studies engineering professional be on-site to make sure the right data is collected and to determine the configuration, which is not always obvious, of each and every relevant device. To develop the 2002 version, a “typical” 20x20x20-inch metal box enclosure size was used for testing to determine the formulas for calculating incident energy. For the 2018 update, however, the committee evaluated multiple box configurations and found that box dimensions have an impact on incident energy produced (the shallower the box, the more direct the blast for example). For the three electrode configurations that use a box (VCB, VCBB, HCB), equations were normalized at less than 600V for a the “typical” enclosure size. Box depth is only considered “shallow” when the height and width are both less than 20 inches and the enclosure depth is less than or equal to eight inches. As a result, when these conditions are met the new revision requires box dimensions (height, width, and depth) to be included as a variable for calculating incident energy. That means your studies engineer needs to know how to determine which equipment meets these conditions, and then verify and accurately record box dimensions to be included as study variables. In the 2002 version, the conductor gap was standard for each type of equipment. The 2018 version now includes a range of options to select for each piece of equipment. This means that when collecting data in the field, conductor gaps must be measured. This can be a dangerous task, so you probably don’t want data collected by someone who would whip out a metal tape measure inside an energized piece of equipment. A qualified studies professional can make sound engineering judgements when onsite to safely collect data, and to analyze and accurately interpret nebulous conditions. This exception was based on the assumption that lower voltages were less likely to sustain an arc. However, additional testing demonstrated that arcs may be briefly sustained at lower voltages. Therefore, the exclusion was removed, and the 2018 standard now admits “sustainable arcs are possible but less likely in three-phase systems operating at 240V nominal or less with an available short circuit current below 2000 Amps.” So now, equipment below 240V should now be considered regardless of transformer size. So, what does this new 2000 Amp rule mean for you? You guessed it… more equipment must be included in your study. Every device between your 125kVA transformers all the way down to your 30kVA transformers. 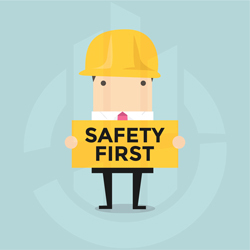 This will have a dramatic impact on the scope and cost of your facility arc flash hazard analyses and must be addressed during your next study update or before. One thing that hasn’t changed is the 2-second rule. 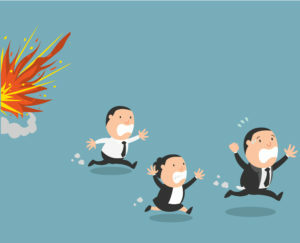 Basically, it says most people can move away from an arc flash in less than two seconds, but that there are situations that could slow them down (i.e. obstacles or barriers blocking their path, being elevated in a bucket, being restrained by other safety equipment, etc.). If your five-year arc flash study revision is due within the next year or so, sit tight for now. When it’s time for an update, just make sure your studies professional addresses these changes and includes the now-relevant equipment downstream of the smaller transformers when developing the scope. If your existing study is relatively new, you may want to consider conducting an interim study adding this lower voltage equipment. This will ensure you have a comprehensive study with adequate PPE prescribed for the remaining term of your study, rather than rolling the dice over the next few years assuming the old standard will cover you. If you’re planning or in the midst of conducting a new study, press pause. Before moving forward, make sure your studies professional has addressed these changes in the scope of work, and if not, ask for an updated scope, schedule, and price. This could be extensive in some cases, and not just to the number of devices added to the study. Since some of the changes involving data collection require advanced planning and engineering expertise in the field, a more qualified project team and additional time onsite may be needed. A member of IEEE-1584 voting committee, David Rewitzer, PE, CEM A 25-year veteran of the electrical power distribution field, Dave specializes in power system studies, short circuit coordination, arc flash hazard assessments, & energy management analysis. An authorized OSHA general industry trainer, he teaches arc flash hazard, electrical safety, energy management, & power quality courses. He holds a BSEE & an MSEE. HPD is a leading provider of electrical and mechanical testing and commissioning services in major computer centers across the country and around the world. Incorporated in 1982, our clients include mission critical facilities owners, commercial and industrial customers and government institutions, along with electrical utilities, distribution cooperatives, and municipalities.